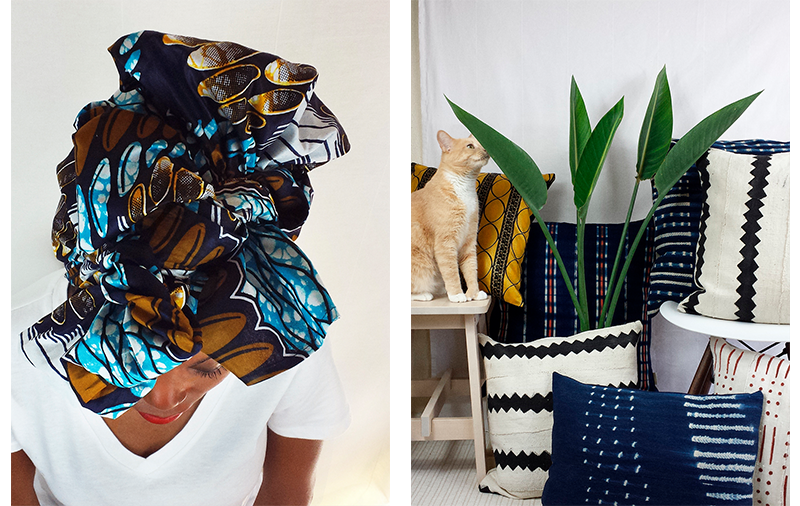 Sharon Baluku founded her company, Baluku Design, on the idea of giving back. So she creates eco-friendly products, using sustainable materials and practices to ensure a safe environment for future generations; as well, Baluku Designs donates 10% of sales to education programs in Uganda. The high-quality home products and fashion accessories are inspired by her ancestral aesthetics - both African and Scandinavian. For as long as I can remember I have wanted to work for myself. That notion grew stronger around 2014, though at the time I still didn’t know what I was going to focus on. In November of 2015, Baluku Design was up and running! Why did you start Baluku Design? Baluku Design started from wanting to create beautiful, unique, simple designs that I wanted to have, but couldn’t find out there. It also came from the urge to use my hands more, and not just be stuck behind a desk. I knew that I wanted to stay in the creative field, and most importantly challenge myself by doing something that I had never done before. When did you first sell at Unique LA? I first sold at Unique LA in Spring of 2016. It was my very first show, and I was extremely nervous and had so many doubts in my mind. But once I submitted the payment, I knew there was no turning back. The biggest surprise of that first show was that out of the 250+ talented designers, I ended up winning Best Table Design! Before I started my business I worked as an interior designer at a high-end interior design firm in Silverlake, CA. What’s been the most important thing you attribute your success to? The most important thing is also one of the underlying reasons why I started Baluku Design. With this company I have had the privilege of giving back; specifically creating educational opportunities for girls and women in Uganda. I’m committed to supporting their empowerment through education, and this is what keeps me going and continuing to love what I do! My inspiration comes from anywhere and everywhere! In general, nature is a big inspiration of mine; I’m always trying to incorporate more of it into my work through natural and sustainable materials, patterns etc. I think that there are endless ideas around us, and if we keep an open mind and pay attention to our surroundings, we can discover amazing things. Furthermore, a lot of it comes from my diverse background – because I have a Ugandan and Swedish background, and because I embrace both cultures almost equally, there is a touch of African and Scandinavian design influences throughout my work. Advice to someone starting a business? Make sure to educate yourself in whatever you decide to do. Make sure you are comfortable being alone at times because there are lots of lonely nights when you are trying to start a business. You may lose friends along the way due to the time you have to commit to your business, and that’s okay because the right people in your life will stick with you no matter what. To me the hardest thing about being a business owner is that I wear a lot of hats! I’m the designer, maker, photographer, and everything in-between that comes with owning a business. Also, time – always trying to find a balance between Baluku Design, my personal life, and my day job as an interior designer. Who are some indie brands that people should be watching out for? ILIA, a cosmetic brand that uses an ethical-sustainable approach. Each piece is filled with certified organic bio- active botanicals that nourish and rejuvenate the skin. Beverage of choice: Green tea!